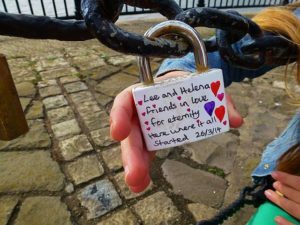 Whether you are looking for romantic things to do in Liverpool because Valentines day is around the corner or you are looking to create the perfect date, we’ve got a bunch of suggestions for you.We’d also love it if you chose to book a table with us! Our restaurant is perfect for date night or that cosy time together if you are visiting our beautiful city for a break. We like to think that if you are looking for romantic things to do in Liverpool for 2019 then Villa Romana should be on your list – higher than 1st place! Check out our menu (click here) and then get in touch (click here) to arrange the perfect date venue. 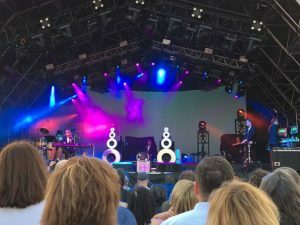 Whatever your reason for reading this post if you are looking for a list of romantic things to do in Liverpool then you’re in the right place. Whether you are looking for something to do in the daytime or planning an evening out there’s always plenty to see and do. First of all you should know that Liverpool is amazing! Ours is a maritime city with the world famous and historical River Mersey that leads to the Irish Sea. It is a vibrant and modern city with a variety of architectural designs, both ancient and contemporary that rival anywhere in the world. Ferry Cross the Mersey offers excellent views of the water. With the River Explorer Cruise, you will be treated to a stunning view of the Liverpool Waterfront. 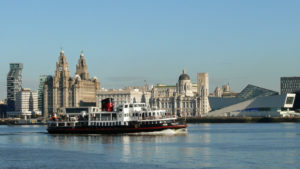 The cruise covers three areas Woodside, The Pier Head, and Seacombe. Views from Mersey are breathtaking not forgetting the spectacular sunset cruise. For a mesmerizing aerial view of the city, go to St. John’s Beacon, which is also called the Radio City Tower. 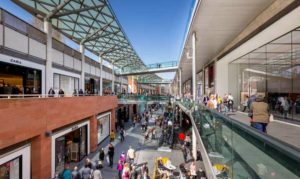 Spice up your love life with shopping experiences and heaven knows Liverpool has a LOT of shopping opportunities around the city. Don’t be selfish, share the experience together by deciding to shop for something specific such as a gift for each other rather than dragging him or her around clothes shops. As a suggestion give each other an hour to find the wackiest gift possible, you’ll never forget this day if you have something tangible to remember it by. Tucked away just off Hope Street Coverstar Experiences is a gem for individuals, couple and groups looking for a bit of fun for an hour or so. It is a recording studio geared up toward experience days. They specialise in hen parties, kids parties and corporate events but is also a fantastic date idea for you and the other half, there’s a bar too! Walks are romantic especially in the evening and the Pier Head has some fantastic views of the river that made Liverpool famous for it’s docks. There are also many places to go walking such as one of the many beaches and parks. Feeling the sand between your toes, sitting in the shade for a meal, or enjoying a simple picnic are all great things to do at the beach. Liverpool has several beaches to choose from. For parks, start with Sefton Park. The scenery here will leave you speechless. The pathways meander while the lake offers such a breathtaking views. You will see the Palm house, which has a glass dome that light up well at night. You will not help but stare. If you are in Wirral Birkenhead Park is a good choice as well – fact: did you know that Birkenhead Park is the inspiration behind Central Park in New York city? If you both like cycling, bike around the Albert Docks for a romantic time. This is obviously weather related but fantastic to enjoy together when the sun is shining! 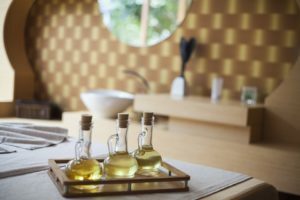 Spas offer relaxing, calming effects on your body and Liverpool has many to choose from including those a little further afield such as Wirral, Formy, Southport or Chester. Go for a couple’s massage for example. Let professionals attend to your physical and mental wellbeing, as you enjoy each other’s company. If both of you love yoga, it would be a great idea to have a session together. Meditate and get to improve your life by focusing on the present moment and nothing else. Liverpool has a variety of yoga studios for productive exercise. Performances are a fantastic means to unwind after a busy day or during the weekend. Consider watching a film, a play, or enjoying some musicals. It does not matter your taste. There are contemporary and classical genres in theatres. Check out the Everyman, the Philharmonic or one of the many smaller theatres. 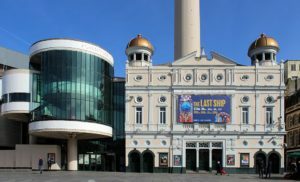 The theatre and an Italian meal really go well together and is one of our favourite romantic things to do in Liverpool any time of the year. This is about installing padlocks on railings, trees, and bridges too. The lock acts as a symbol of a solid relationship. The waterfront and Albert Dock in Liverpool allow you to do so. It is a unique way of celebrating what you have with your partner. These padlocks are not only meaningful to lovers but they also increase the aesthetic value of wherever they are installed. Do both of you like history? Museums and historic sites is where you should be. Liverpool has may of them. Get to learn something about the past and appreciate the role of history in shaping the current world. When you want a sophisticated date away from bars and restaurants, art galleries would be great for you. However, make sure that your plus one loves art as well. Otherwise, he or she will be bored. Art requires paying attention to the finest details and enjoying every minute of it. 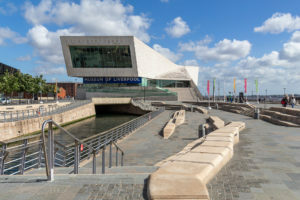 Liverpool has many galleries with modern and ancient collections. 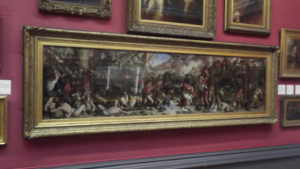 For example, go to Wirral’s Lady Lever Art Gallery and please your eyes with different artworks. Antony Gormley’s sculptures on Crosby beach are like no other.They cover a whole three kilometre distance. Tate Liverpool features modern art that is interesting to look at. 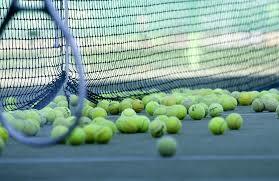 Besides biking and going for walks, participating in a sport with your loved one is a worthwhile romantic thing to do. You get to exercise, have fun, and compete. There are sport centres for different sports. After a session, change, shower and head to other places you wish to go. You will be energised for those walks and trips around the city. Sometimes all you want to do is to laugh. As you come up with a list of romantic things to do in Liverpool, include comedy. It allows you to smile and giggle. You are able to concentrate on the jokes and not anything else in your life. A good venue to look out for is Comedy Central. The live performances are exciting. Albert Dock is the other fulfilling laughs place. Visit such areas and laugh out loud with others. It will be fun. When you have had enough of comedies on television computer screens, being part of the audience in live performances is a good experience. See this Google search for some suggestions. You do not want to drive around the city yet you still yearn to explore different places in Liverpool. What you need is a bus ride. 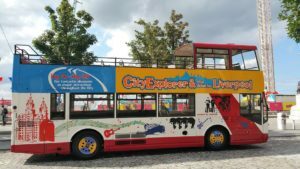 City Explorer is a bus known to offer rides to various places. It makes over 10 stops along the way; thus giving you a chance to see as much as you like. The live guide comes in handy when you need to know more about a given stop. Probably, you are a huge music fan and it is July. Go to the international music festival. It hosts local and international artists playing great music throughout the weekend. Dance along to your favorite tune. Remember the festival is affordable. You have no excuse to miss it. The Beatles Story Band is popular for making heartwarming love songs. It has an exhibition in Albert Docks that showcases the band’s life. It shows where they started and how far they have come as solo artists. Nature has much beauty for the eyes. 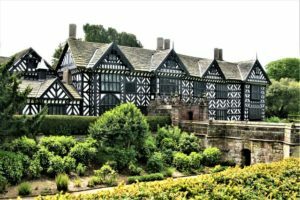 Once you are done looking at buildings, riding around town, watching movies, and listening to music, Speke Hall and Gardens would be a good place to be. This area has beautiful plants one of them being the Bell Tree. It is an oak tree with more than 300 ceramic bells. Blooming flowers in September make this garden wonderful. Do not worry about hunger when visiting. Speke offers different meals. You can also shop for gifts, plants, and garden decorations. After a busy week, take time to indulge in relaxing activities in Liverpool. Nonetheless, it is advisable that you plan your tour especially if have a lot of time to have fun. If you do not have intentions to sleeping at home every night, find a good, safe place to stay. List down what you will be doing. This way, you will b able to do everything you wanted within the time you have. Ensure you are wearing the right clothes and shoes to avoid feeling out of place or having a hard time moving around. For instance, if you intend to climb a tower, you need flat shoes and comfortable pants. It is bad to spend more than you have. The last thing you need is debts when you get back home or being stranded in Liverpool. To be on the safe side, come up with a budget based on the income you have. Book a hotel (or other accommodation options) if you will spending the night. Look at the cost of meals and products. Only go for what you can afford. Write down an approximation of the amount of money you will need. If you will be having a romantic lunch only, it is easier budgeting than when you are planning for a weekend. However, do not be too hard on yourself. Make sure you spend within your means and you will have a wonderful time. A schedule keeps you on track by ensuring you visit all the places you planned to see and engage in all the activities you wanted. At the end of the day, you will have a fulfilling time. Yes, you have a good plan for your time. However, avoid being too strict. Sometimes, it is nice to loosen up and participate in something you did not plan for or go to a place that was not on your list. It could be more romantic than what you had in mind. The art of spontaneity and improvising is always useful. For most people, a romantic act allows them to be fully vested in themselves at the moment. For example, some people want to talk. Doing so in crowded, noisy areas is not possible. Therefore, after watching a play at the theatre or attending a music festival, go for a stroll at the beach or park and have quality time together. Nonetheless, do things your style and participate in activities you enjoy. The places you go to do not have to be quiet. Liverpool is an amazing place for romantic activities. It offers a wide selection of places to visit and things to do. From cruises, walks, site-seeing, to entertainment. You have it all. All that remains is for you to choose activities that you will both enjoy. It is possible that you only do one thing such as having dinner or going to the spa. However, when you have a day or more, there are many romantic things to do in Liverpool.